Being in charge of an office can become quite stressful for an office manager with all the tasks and responsibilities you have. In addition to maintaining records, reviewing health and safety procedures, managing staff and overseeing projects, you may also be asked to find ways and methods of reducing costs and improving business efficiency. One area an office can improve its working environment, increase staff productivity and reduce cost is in the mail room. This can all be achieved with a low cost franking machine. – Manually weighing and sizing your mail items. – Referring to the latest Royal Mail price chart. – Applying the correct postage. – Visiting the Post Office to send your special delivery mail items. – Visiting the local post box to send your mail items. How many items you send daily, your current postage spend and the number of man hours dedicated to mail handling can all be reviewed by your business. If you are sending as few as 15 items per day or even week then a franking machine is worth considering. There is no restriction to the amount of mail you can send and the benefits gained are hugely important. – Gain access to discounted postage rates. – Eliminate the risk of miss paying for a mail item and reduce costs associated with this. – Monitor your postage spend. – Improve the businesses professional image. – Enhance your businesses identity when you frank a company logo or promotional message on your mail. – Accurately weigh and calculate the correct postage rate every time. – No more queuing at the Post Office. 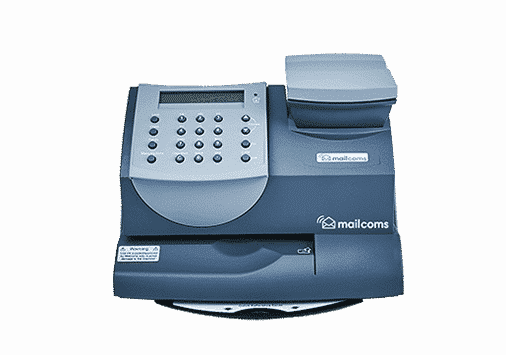 A franking machine can be brought, rented or leased and all at a very low price. 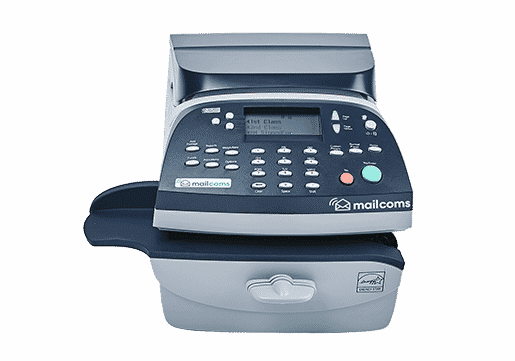 All franking machines are designed so that they can fit into your business office with ease and the new models no longer require a phone line. Making the right decision for your franking machine however can be quite difficult at times and as such Mailcoms are here to assist. Call our team today and one of our experts can help start the process of you acquiring your franking machine.